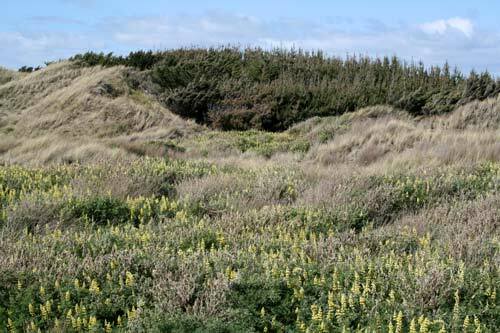 Radiata pine has been planted extensively to stabilise sand dunes on the west coast of the North Island. These pines at Ōtaki Beach are growing near lupins, which provide ground cover and fix nitrogen in the soil. Marram grass has also been planted to stabilise the dunes.